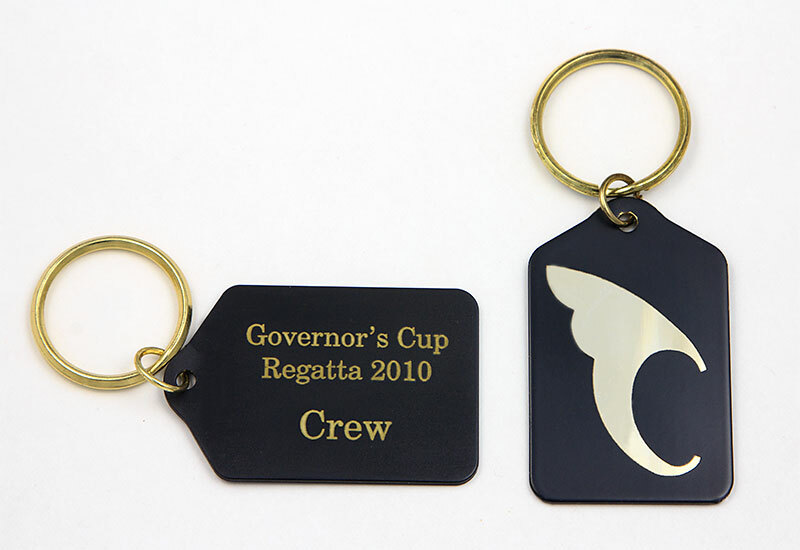 These black-coated brass keychains measure approximately 1.5"x2.5". 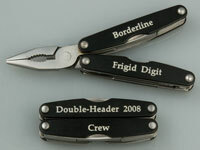 Where engraved, the brass shows with high contrast for an elegant and useful keepsake. These look great with a club burgee (or class emblem) on one side, and event text on the other. Quantity discounts are available.